The Best Wrestling on the Planet returns to Baltimore for a night of the hard-hitting, fast-paced, in-your-face action that only Ring of Honor can provide! Be the first to see the fallout from Ring of Honor’s BIGGEST Supercard of Honor ever as the William J. Myers Pavilion hosts an international television taping on Saturday April 8 with a SPECIAL 2 PM BELL TIME! All of your favorite ROH stars will be there including ROH World Champion Christopher Daniels, ROH World Television Champion Marty Scurll, the ROH World Six Man Tag Team Champions Bully Ray and The Briscoes, and the NEW ROH World Tag Team Champions The Young Bucks! The ROH Board of Directors has announced that the FINALS of the 2017 Top Prospect Tournament will take place in Baltimore! One match can change a whole man’s career. And this Saturday, the winner of the 2017 Top Prospect Tournament will see his career change in an instant, earning a ROH contract and a ROH World Television Title shot! The tournament has produced three ROH World Champions, two ROH World Television Champions, five ROH World Tag Team Champions, and one ROH World Six Man Tag Team Champion and the remaining three competitors may add their name to that list, shortly! Josh “The Goods” Woods picked up victories over “The Heir Apparent” Chris LeRusso and “The Kingpin” Brian Milonas to punch his ticket to the finals in Baltimore. Woods’ amateur wrestling and MMA backgrounds will prove to be a tough out following his victories with the GYT (Grit Your Teeth) against LeRusso in Pittsburgh and a devastating kneebar that forced the nearly-400 lbs Milonas tap. Woods will face the winner of Curt Stallion versus “The Southern Savior” John Skyler in a match that will air on Ring of Honor Television this weekend! Stallion, trained by former ROH World Champion Michael Elgin, pulled what many called an upset in the first round of the tournament, defeating noted veteran “The Pain Train” Preston Quinn. He faces Skyler, who defeated “Hybrid” Sean Carr, with his devastating Southern Salvation finishing move. These two did battle at Manhattan Mayhem and the winner will face Woods in Baltimore with a ROH Contract and ROH World Television Championship opportunity on the line! 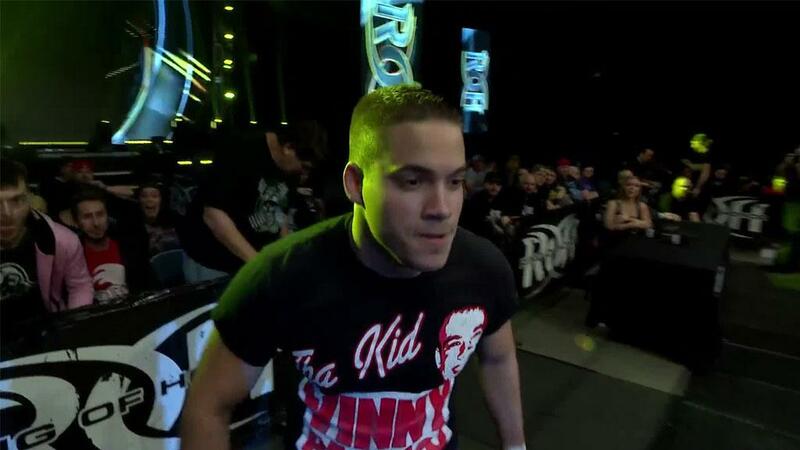 Who will leave Baltimore the next ROH star? Be the first to know in Baltimore when we crown the 2017 Top Prospect! The best way to enjoy The Best Wrestling on the Planet is to be there live! Get your tickets to this gigantic international television taping now to see the hard-hitting, fast-paced, in-your-face action that only ROH can deliver!